← Are You Ready for a Full Moon Bungee? 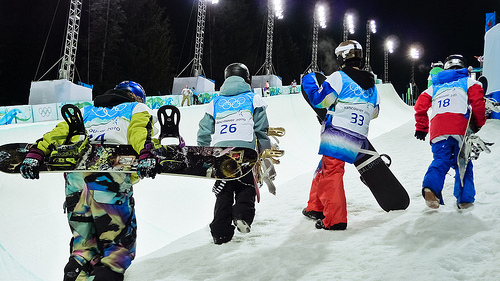 Could There Be An Olympic Snowboarding Boycott? There is frustration afoot in regards to a decision made by the FIS (International Ski Federation) last Friday to reject a proposal by TTR that calls for a joint-qualification system for the 2014 Olympic snowboarding events. Many riders support the notion that existing events should be the judge of who qualifies for FIS, as opposed to having to shift around their seasons’ schedules in order to comply with the current FIS qualification system. Riders have built the brand of snowboarding into a marketable empire and have turned it into an Olympics-worthy sport without much outside support. 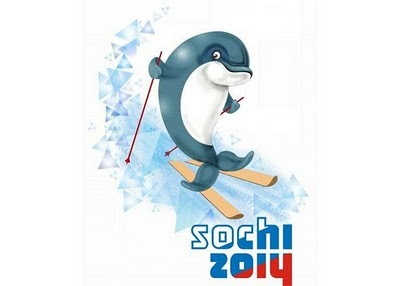 Will that same independence lead TTR members to boycott the Olympics in 2014 as a way of demanding their vision of Olympic snowboarding be realized? For the past year, TTR has been working with the FIS in order to address schedule conflicts presented by the FIS’ qualifying system of Olympic snowboarding along with the validity of qualifying events. For the average snowboard superstar, FIS offers very little in terms of quality events when it comes to qualification. Many athletes have existing schedules with far more lucrative and exciting opportunities. They see FIS as having very little to offer them in exchange for all they are giving to participate. Riders’ complaints extend far beyond these challenges, though. There is a stark contrast between the internal workings of TTR and FIS. TTR was built from the ground up by snowboarders and extreme sports enthusiasts, emphasizing the need to develop an association around the athlete and represent the interests of the athletes and the sport first and foremost. FIS, on the other hand, is a more bureaucratic, less transparent entity that operates within the typical confines of an Olympic organization. Riders insist that in order to create a successful Olympic snowboarding association, a transparent entity run by the athletes is essential. While there is no current organized force petitioning TTF riders to boycott the Winter Olympics, the chatter is out there. Sebastian Toutent was hesitant in going in alone, but said that “I’ll stand with them” if there is an organized boycott by TTF. Other riders, such as Chas Guidemond, who has played a crucial role in organizing riders for discussion with the Olympic organization, had no comment. Many riders feel incensed that FIS, which is by definition a ski organization, is tasked with the consideration of snowboarding’s Olympic future in the first place. Riders may find themselves contemplating on similar events from the past. Terie Hakonsen boycotted the 1998 Olympics due to the IOC giving FIS jurisdiction over the snowboard halfpipe. Many extreme sports participants supported his decision, but Hakonsen was the only individual to boycott. He later went on to co-found the Arctic Challenge, whose qualifying system was used later on by the TTR and is the pinnacle event for many TTR riders who earn their Ticket To Ride. Whatever may come out of this debacle, it is safe to say that Olympic snowboarding will not eclipse the realm of extreme sports anytime soon. Snowboarding’s popularity has been on the ascent for years and is completely autonomous in its marketing and events, with no help from the IOC or FIS. Snowboarders have nothing to lose if the FIS uses its heavy hand and discourages snowboarders from participating. The question is: what is the Olympic establishment losing from its refusal to negotiate? This entry was posted in Snowboarding, Winter Sports and tagged Olympics, Snowboarding. Bookmark the permalink.